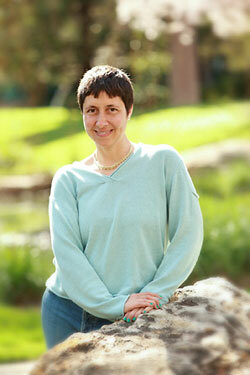 Michelle Love is an Anat Baniel Method Practitioner and an Anat Baniel Method for Children Practitioner. She loves helping people learn and grow, especially when their growth exceeds their initial hopes! Michelle is the parent of a special needs child and has experienced the power of this work first hand with her son, who has been diagnosed as having Autism and a Severe Learning Disability, among other challenges such as Sensory Integration Disorder. He is now doing fabulously well since receiving ABM lessons. Since he started doing ABM he has learned how to read, to ride a bike, and to be interested in others socially. He now attends public school with minimal support and is a much happier person! Michelle's quest to help her son led her on many paths and eventually to becoming an ABM Practitioner herself after seeing the many positive outcomes this work brought to her family and to many of the families she met along the way. Michelle is an enthusiastic supporter of new possibilities for all those that she works with and she has a very special place in her heart for kids on the spectrum and their families. Please contact Michelle at michelle@movelearn.com to learn more about how this method could help you or your loved one. To hear about upcoming introductory events, please join our e-mail list. Click here to send Michelle a question. Don't forget to signup for our newsletter. Fill out the form on the right, and you'll get the latest information on classes and special offers. We'll never give away or sell your email address or personal information. Site design by InTouch © 2009. All rights, lefts, and other directions reserved.